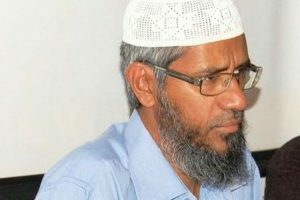 Later, in June 2017, he was declared a proclaimed offender even as a non-bailable arrest warrant against him was pending execution by the NIA. 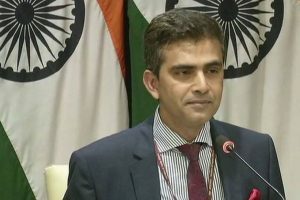 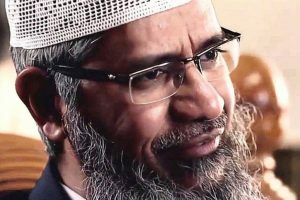 Continue reading "India must press for Naik’s return"
Continue reading "MEA may seek Zakir Naik’s extradition"
India, he said, was in regular touch with the Malaysian authorities in this regard through its High Commissioner in that country. 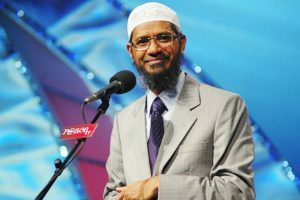 Controversial Islamic preacher Zakir Naik issued a statement thanking Malaysian Prime Minister Mahathir Mohamad. 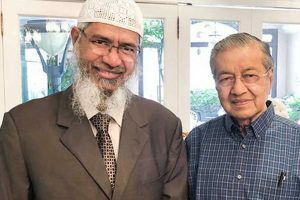 Mohamad last week said the cleric will not be handed over to Indian authorities as he had been granted permanent resident status in Malaysia. 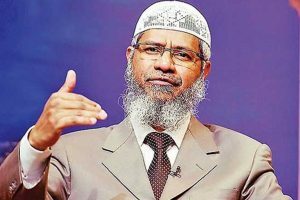 Neither Indian nor Malay officials have confirmed the extradition request or the existence of any charges again Naik. Continue reading "Zakir Naik says he won’t return to India till he feels safe"
Continue reading "Tribunal orders status quo on Zakir Naik’s properties"
Continue reading "Interpol cancels red corner notice on Zakir Naik, NIA to submit fresh request"
Continue reading "NIA files chargesheet against Zakir Naik for hate speeches"
Continue reading "Islamic televangelist Zakir Naik declared ‘proclaimed offender’"
Continue reading "Delhi HC to hear plea of Zakir Naik’s IRF against ban on July 27"
Continue reading "ED seeks court nod to attach Naik’s properties in Malaysia"
Continue reading "Zakir Naik’s school in Mumbai illegal, says civic body"
Continue reading "Enforcement Directorate files case against Zakir Naik’s aide"
Continue reading "Mumbai court issues non-bailable warrant against Zakir Naik"